Boiled chickpeas seasoned with salt and pepper are traditional in the Ashkenazi kitchen for Purim. This custom reminds us that Esther, forced to live in King Ahashuerus’ palace, according to tradition ate nothing but legumes, in order to remain kosher. Chickpeas are fun to eat plain, but why not try a spicier rendition this year, adding zesty flavors like cumin and garlic? 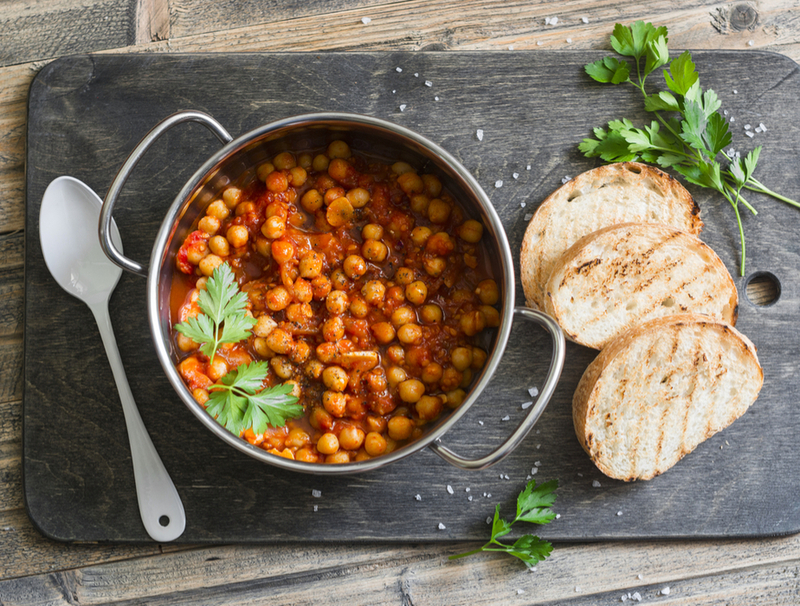 Keep things easy by using canned chickpeas. Heat oil in a skillet over medium heat, add garlic and sauté for half a minute. Add tomatoes, cumin, paprika, and salt and simmer for 10 minutes. Add tomato paste and ¾ cup of water and bring to a boil. Add the chickpeas and hot sauce. Simmer uncovered over medium-low heat around 10 minutes or until sauce has thickened.